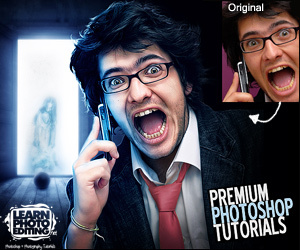 This is a fantastic photo editing course at a very reasonable price. 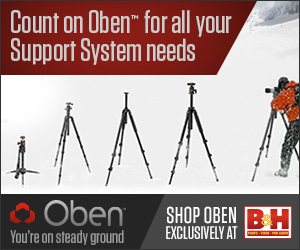 Click on any of the images below to learn more and to get access. 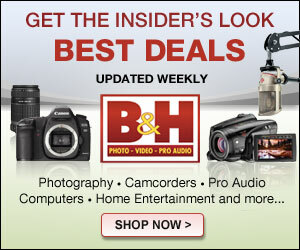 Turn any photo into amazing professional looking images. Below are some of the cool techniques you will learn. 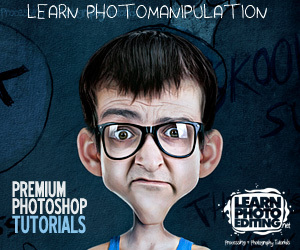 Learn how to create a cartoon character with photo-manipulation and retouching. 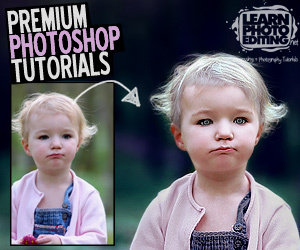 You will learn step by step how you can create any cartoon character you imagine using photo-manipulation, retouching and color grading techniques. 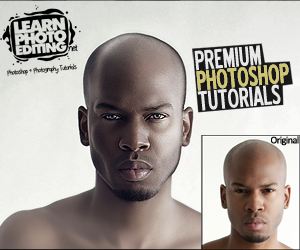 Learn How to make facial features pop out with retouching. 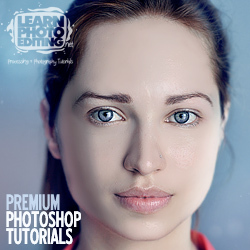 In this 130-minute video tutorial you will learn different retouching techniques and tricks that will help you transform regular people into eye-popping characters. 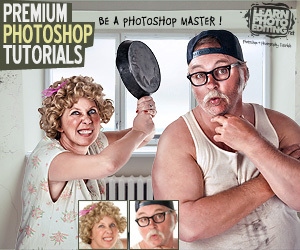 In this Photoshop tutorial, you will learn how to enhance the facial features of the man and the woman giving them a funny cartoonish look. Learn how to make all your photos come alive. This is a 90 minute VIDEO tutorial, you will explore different techniques, like color isolation, to bring out the contrast of the skintones, as well as the contrast between the shadows and highlights. You will also learn how to focus on bringing out the details of the facial features and hair to make photos come alive! Learn how to change the lighting in any photo. This is a 140-minute VIDEO tutorial, that will start with a basic studio photo and create a completely different, much darker environment, add sources of lights and create a cool smoky vapor effect which will give our photo the look of a commercial poster featuring a celebrity athlete. 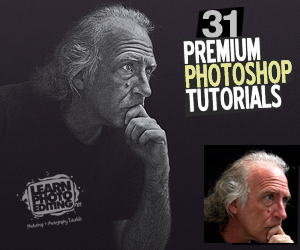 Learn how to make your portraits look AMAZING! This is an 88-minute VIDEO tutorial, you will start with a cool self-portrait from NikxStock and with the help of Photoshop, we will transform it into some sort of flashy, punk rock, studio shot portrait! Learn how to create a surreal looking character with advance retouching techniques. This is a detailed 3-hour Video Tutorial, that will show you step by step how you can turn an average Joe into a surreal eye-popping character using advanced retouching techniques. You will also be working on adding light effects to the image, adding a rim light around our character and then color grading our scene to make it look rather creepy. 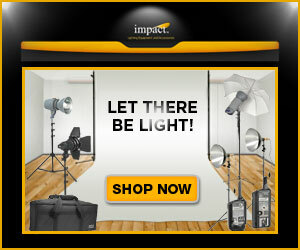 Learn how to turn your photos into high impact magazine ads. 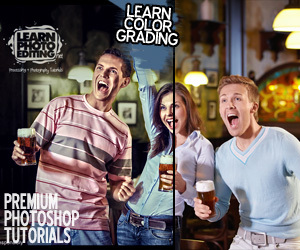 This is a 55-minute video tutorial that will use advanced color grading techniques to transform a photo that desperately needs more punch into an high impact image that could be used in a magazine ad for example. Learn how to give your portraits the “Video game Look”. In this 2 hour+ Video Tutorial, we will transform a portrait of a regular guy into something that look straight out of the latest video game. Learn how to create more impactful portraits. In this 105-minute video tutorial, you will learn how you can improve the look and details of someone face/skin and really give your photos or the people in your photomanipulatons a very cool and impactful look! 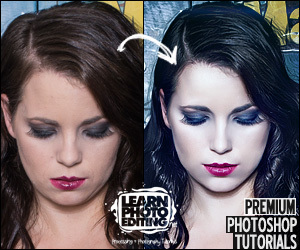 Learn how to glam up a budget photo shoot with editing. In this 150-minute VIDEO tutorial, you will use gradients to glam up a casual portrait and make your subject look like a high-end fashion model! 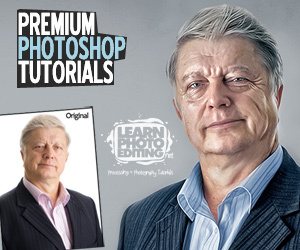 In this 87-minute video tutorial you will learn how to use the photo of any person and transform him or her into an eye-popping real-life looking Disney character! Learn how to create stylized black and white portraits. In this 40-minute video tutorial, you will learn how to create a black & white portrait giving it a style often seen in promotional images of TV series like ‘Game of Thrones’ and ‘Sons of Anarchy’. Learn how to create breathtaking images. 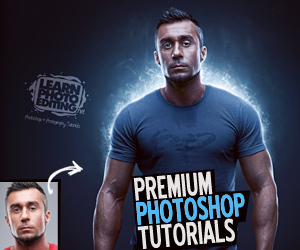 In this tutorial, you will learn step by step how to achieve such a transformation. The knowledge you’ll gain after completing this tutorial will allow you to transform your own photos into magical works of art! 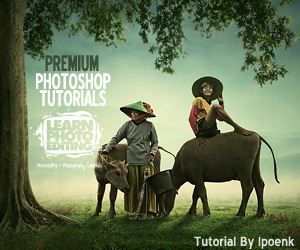 Learn how to create a fantasy environment with photomanipulation. If you are a professional photographer, you absolutely need to learn the art of photomanipulation as this simple skill will allow you to offer much more than simple photos to your clients, you could offer them, for example, a trip back in time! Learn how to give a photo a cool grungy desaturated look. 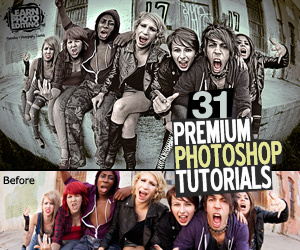 In this 85-minute Video Tutorial, you will learn to transform this photo of “rebellious” teenagers into something much edgier and grungier, something that could certainly be used as a poster or album cover for a music band. How to Create Mind-Blowing Artistic Images With Top Secret Photography Tutorials And Step-By-Step Instructions!